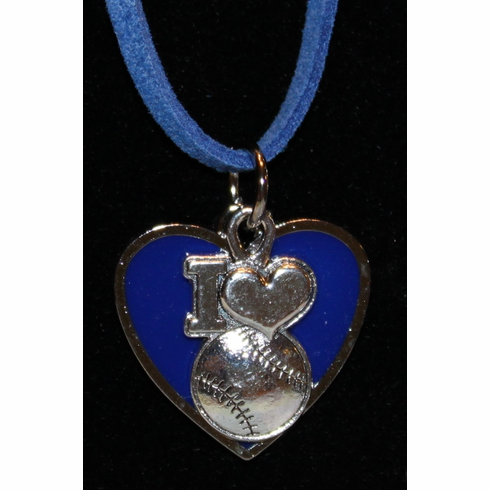 This 18" I Heart Baseball royal blue heart necklace is great for female baseball fans young and old. No lead, no nickel. Cool blue cord necklace with lobster clasp.